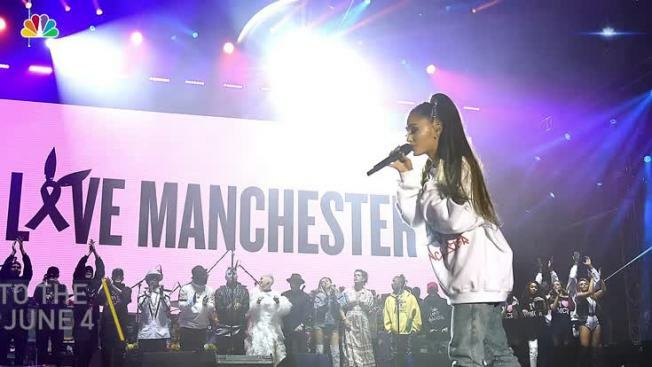 Ariana Grande and a star-studded lineup of performers took the stage in Manchester, England, nearly two weeks after a suicide bomber killed 22 people outside a Grande concert at Manchester Arena. 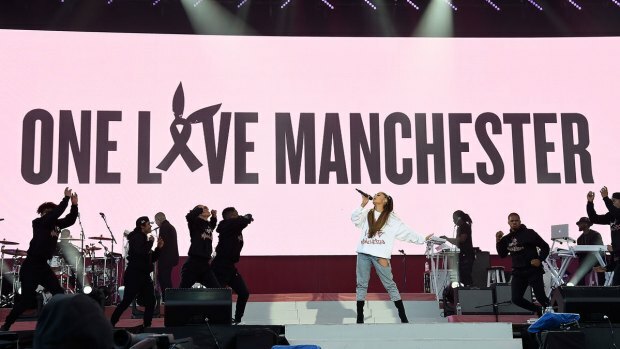 The concert raised money for those affected by the attack. Liam Gallagher is not mincing words with his brother. After famous musicians took the stage in England Sunday for Ariana Grande's One Love Manchester benefit concert, the former Oasis frontman called out his older sibling Noel Gallagher for not showing up. "Manchester id like to apologise for my brothers absence last night very disappointed stay beautiful stay safe LG x," he began on Twitter early Monday. However, his remarks quickly became heated. "Noels out of the f------ country weren't we all love get on a f------ plane and play your tunes for the kids you sad f---." When one fan made a quip about the band's possible reunion, Liam retorted. "F--- the reunion mate it ain't about oasis it's about people helping other people and he's once again shown his true f------ colours," he wrote. While Noel has not publicly addressed his brother's comments, the show went on without him Sunday with a star-studded concert featuring performances by Miley Cyrus, Katy Perry, Pharrell Williams, Coldplay, Stevie Wonder, Justin Bieber, Grande and several more. Gallagher performed three songs during his time at the mic: "Rock 'n' Roll Star," "Wall of Glass" and "Live Forever" with Chris Martin and Jonny Buckland. As of Sunday night, the British Red Cross announced it had raised nearly $3 million during the concert. "Thank you so much for your donations," the organization tweeted. Per the British Red Cross' We Love Manchester Emergency Fund, the funds will "support people who have been injured or bereaved by the attack. The donations will help alleviate suffering and ensure that victims and their families do not face short-term financial difficulties." Uber also revealed it would make a donation equal to all Uber fares taken to and from the One Love Manchester concert to the British Red Cross' fund. Meanwhile, the stars who collaborated to put on the memorable show were grateful to be included. "#Manchester you are the BEST!" Cyrus wrote on social media after the concert. "Always been a home away from home! I love you! Sending you so much peace! Honored to have performed for you!"